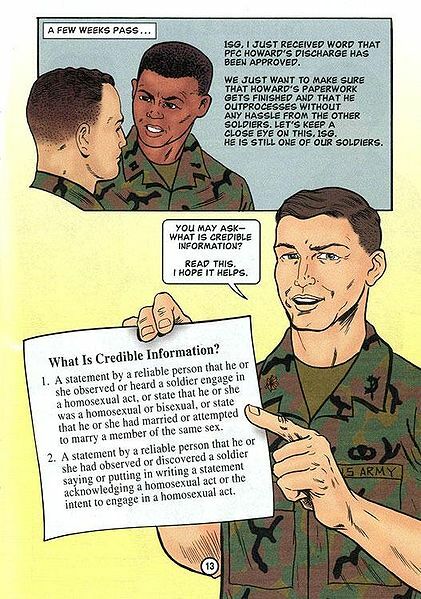 For many years the United States military’s Don’t Ask Don’t Tell policy protected closeted gay, lesbian, or bisexuals from experiencing discrimination and harassment. The same policy also prevented these same people from serving the military as openly gay. The policy was introduced in 1993 during the presidency of Bill Clinton who had made the campaign promise to allow people of all sexual orientations to serve in the military. Prior to that, homosexuality was considered incompatible with service and those found out were subject to automatic dismissal. On September 20 at 12:01 a.m., the Don’t Ask Don’t Tell Policy was repealed. While many from the LGBT community are celebrating this decision, some members of the community don’t think it goes far enough. While they are now allowed to be open about their sexual orientation without fear of discharge, they argue it still does not protect this group from any form experiencing harassment or discrimination.